Cub Scout Pack 11 is a grade based program designed for boys from Kindergarten through 5th grade. They meet in Dens according to grade and once a month they meet as an entire group called a Pack. Cub Scouts participate in activities such as Pinewood Derby, campfires, and hiking. They also take trips such as visiting local TV stations or seeing a fire truck up close. Cub Scouts earn awards for learning skills such as tying a knot or using a bow and arrow. Contact Jim Dieker at jdieker@sbcglobal.net or 217-649-8822. Boy Scout Troop 1 has been a part of First United Methodist since 1922. Boy Scouts is designed for young men from 5th grade through the age of 18. Fun outdoor activities are the focus of this program including leadership opportunities and personal career exploration through merit badges. The program fosters character, personal fitness, and good citizenship while young men earn ranks on the road to Eagle Scout. Troop 1 meets on Tuesday evenings. 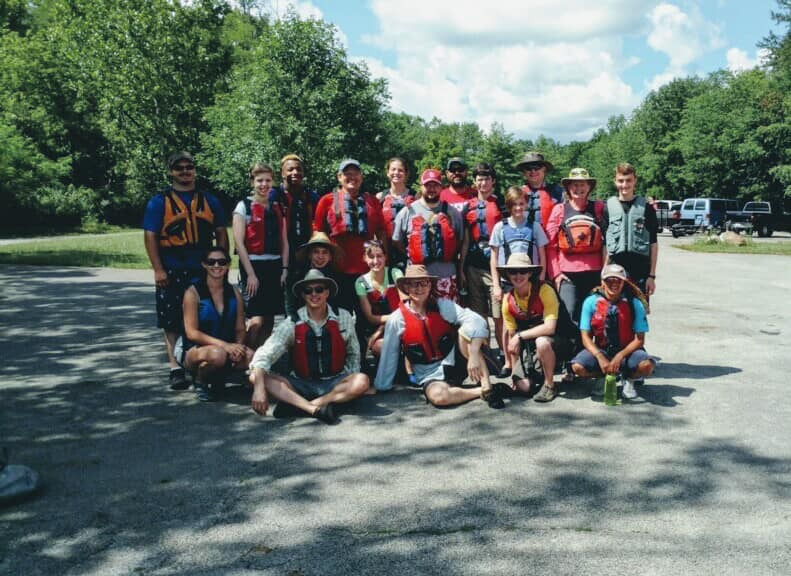 Venturing Crew 1 is the co-ed division of the Boy Scouts. Crew 1 has been a part of the church since 1995. Venturing is a youth led program with adult association. The youth ages 14 (or 13 and graduated 8th grade) through 20 select the program focus. Our Crew focuses on outdoor adventures including backpacking in New Mexico and kayaking on Lake Superior or the Outer Banks of North Carolina. We also learn more about our community and even explore Chicago, learning how to use public transportation to get around the Windy City. Crew 1 meets most Wednesday evenings from 7:30-8:30.